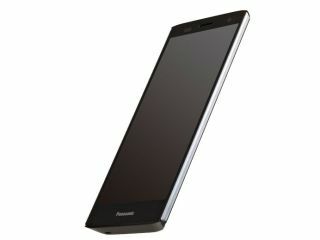 The Panasonic Eluga Power has been announced, bringing a 5-inch screen and Android 4.0 Ice Cream Sandwich. Japanese giant Panasonic has insisted that its new smartphone, the Eluga Power, represents a 'true-turning' point in the market by not compromising on either performance or style. Toshiya Matsumura, General Manager, Head of Mobile Communications, Panasonic System Communications Europe, said: "The Eluga power is a real landmark for us as it redefines everything a modern smartphone should be. "For too long, smartphones have either compromised on looks to embrace new features or dropped functionality in the pursuit of the perfect form. The Eluga power marks a true turning point – delivering both high performance and high-end style." "In developing the Eluga power, we refused to compromise and remained ambitious. That's how we've managed to deliver the convenience of a 5-inch HD screen and superfast charging, make it water and dustproof, as well as add impressive features like NFC and a 1.5GHz processor. All in a slim, pocket-friendly and stylish smartphone." The Eluga Power boasts a brand-new Qualcomm Snapdragon S4 dual-core processor, has a thickness of 9.6mm and weighs in at 133g. The 5 inch screen has a resolution of 1280x720 and there's an 1800 mAh battery keeping things running. It also has 'superfast charging', reaching 50 per cent charge from half an hour plugged in.